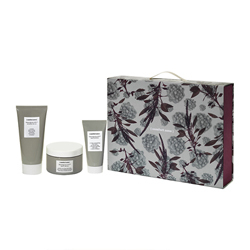 Mother’s Day is early this year, Sunday 11th March, and if like us you struggle to know what to buy Mums we know that a pampering beauty treat is always appreciated. If you’re looking for an indulgent Mother’s Day gift in Basingstoke then why not treat your Mum to a beautiful limited edition [comfort zone] Tranquillity Kit or a beauty gift voucher. Beauty gift vouchers are always a great gift idea for Mums to give them a bit of much needed TLC. With our beauty gift vouchers your Mum can take advantage of one of our fantastic pampering treatment offers listed below this month. And using our new online booking system it couldn’t be easier to book an appointment to fit in to Mum’s busy schedule! To reserve a Tranquillity [comfort zone] Kit, or order beauty gift vouchers call us at The Beauty Spot on 01256 460076, or click here to buy vouchers online.